Seven week interdisciplinary unit in which students develop arguments and research to perform a debate connected to natural disasters. As an introduction to natural disasters and the related issues, students examine the Japanese Tsunami and Indian Ocean Tsunami. Groups conduct research designed to introduce them to the various types of natural disasters and specific disaster events. 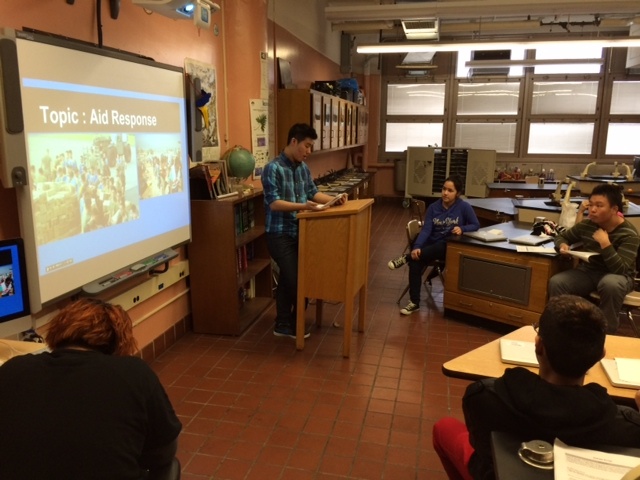 Students develop the natural disaster debate question and debate topics. Debate groups are paired, pro and con positions chosen, and individual research topics selected. Students develop arguments and conduct research to collect evidence. Students perform debate with student judges who decide outcome. How can we reduce the impact caused by natural disasters? Can humans prevent natural disasters? What causes natural disasters to occur? Students share a natural disaster they have experienced. Watch Nova documentary "Killer Quake" about Japanese Tsunami and the documentary about the Indian Ocean Tsunami. Discuss similarities and differences with the "Agree" or "Disagree" Activity. Learn the types of natural disasters. Learn about specific disaster events. 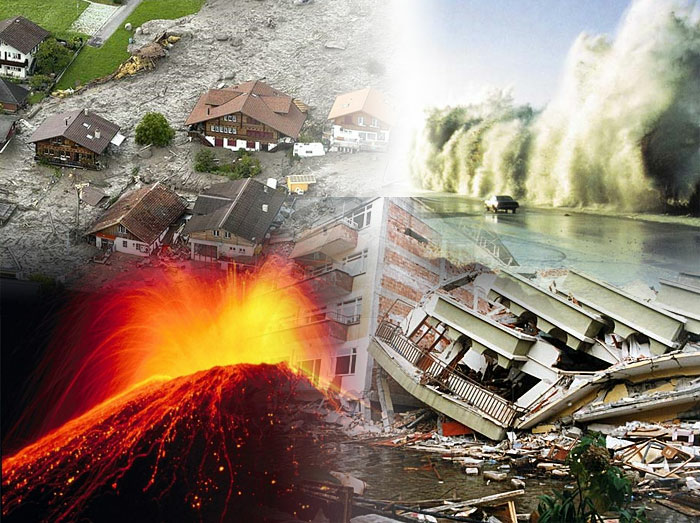 See the different issues related to natural disasters. "To what extent can humans prevent devastation caused by natural disasters?" "Are most natural disaster today human-made?" Documents & topics herein are built around the debate question: "To what extent can humans prevent devastation caused by natural disasters?" Develop the different topics connected to the debate question with class. Will become the individual research topics. Provide structure to the debate. Pair groups together who will compete in the debate. Have paired debate groups select which specific natural disaster they want to focus their research and debate around. Natural disaster choices come from the previously completed Natural Disasters Group Investigation document. Ensure that different types of natural disasters are selected for the two or three debates that will occur. Have paired debate groups decide who will take the Pro and Con position. Have individuals in debate groups choose which topic they will research and be responsible for during the debate. Debate groups enter their information on the Debate Groups Organizer Template document. When debate groups are organized, groups can begin research. Have students complete the resource organizing activity seen within the resource documents. Have each student develop one argument connected to topic and group position on the Debate Argument & Evidence Organizer (CON) or the Debate Argument & Evidence Organizer (PRO). Students conduct research to find evidence to support their argument. Maximum of three pieces of evidence. While students conduct research, select four students from each debate (two from pro group and two from con group) to teach the class about the science connected to the type of natural disaster. Students use the Teach The Class Guide to develop their lesson. While conducting research, have students contact an expert they encounter from their research with a specific question connected to their research. Teacher finds expert's email through a Google search. Students use the Letter to Expert Template to write their letter. Students must show email to teacher before sending to it to expert. Expert response can be used as evidence in debate. Students begin to write their debate script using the Debate Script Developer document. Students share one argument with supporting evidence to student on opposing team with the same topic in order to develop the counter argument. Students use the Counter Argument Builder document to write their counter argument. Debate groups build a Google presentation. Students do not read evidence verbatim from board, but read summary they wrote in their debate script. For the opening & closing statements, students can use only pictures in presentation. No words! Groups practice debate prior to real debate. Invite teachers & other students to view debates.